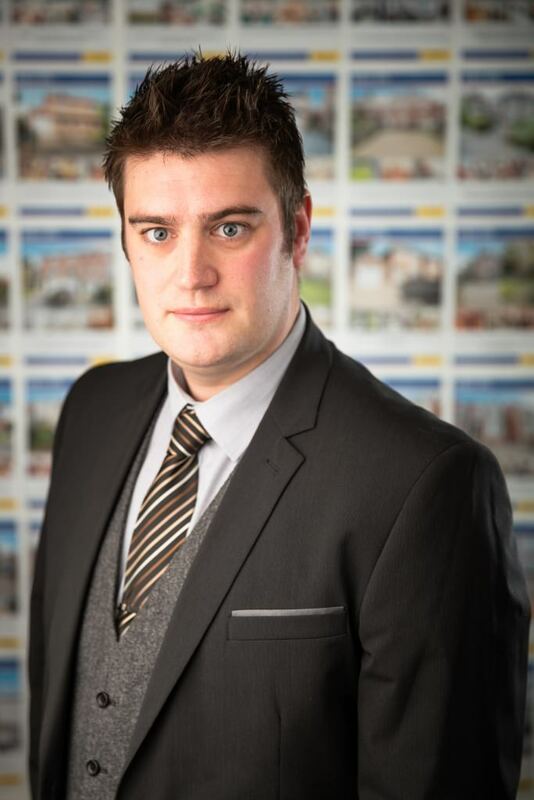 Mark has worked in the local estate agency business for all his working life since graduating from Trent University. Mark has always lived in the area and has twin boys who are now at University. Mark carries out the valuations in the Long Eaton area and is responsible in the business for our Long Eaton branch. Neill joined Robert Ellis in May 2011 after 6 years of working for one of the regions largest corporate Estate Agency chains where he was a Senior Valuer and Business Manager. Neill was brought up locally, went to school at Fernwood School in Wollaton and lives in the area. 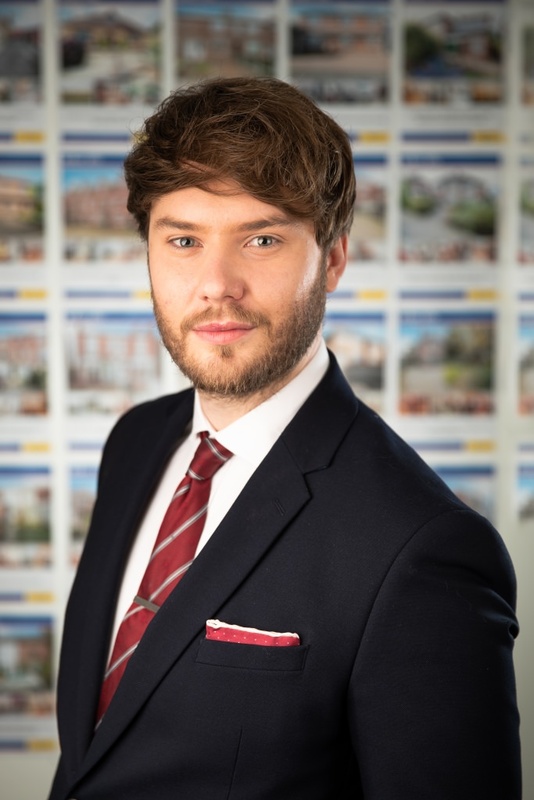 Neill joined the Robert Ellis team as a Senior Valuer at the Long Eaton branch and to be involved with the further development of the Robert Ellis Estate Agency, Mortgage and Professional Service business. Neill is a graduate of the University of East Anglia. Emma first joined Robert Ellis in 1998. 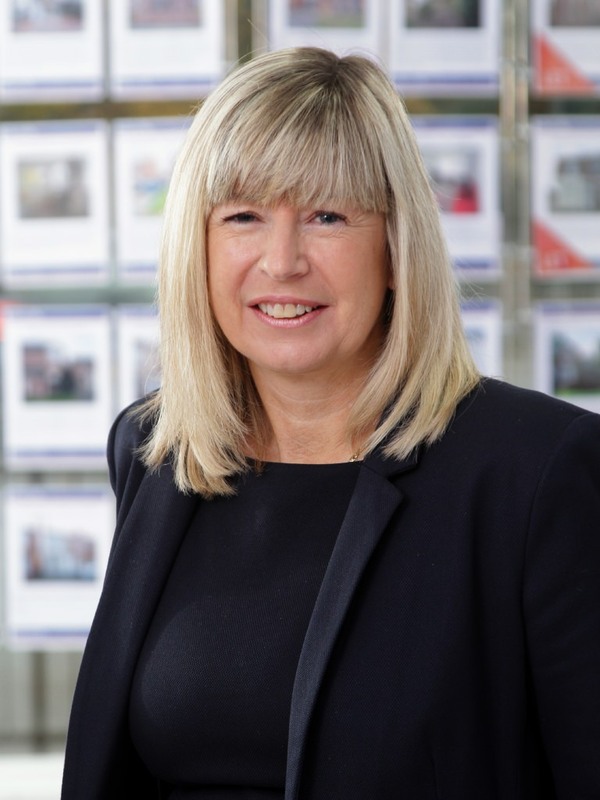 Within that time period she has worked in other areas of the industry and has gained a wealth of knowledge and expertise in the property market and financial services. Emma was office manager for the Long Eaton office for 7 years and is now a senior valuer. Emma lives locally to the area with her partner and two children. 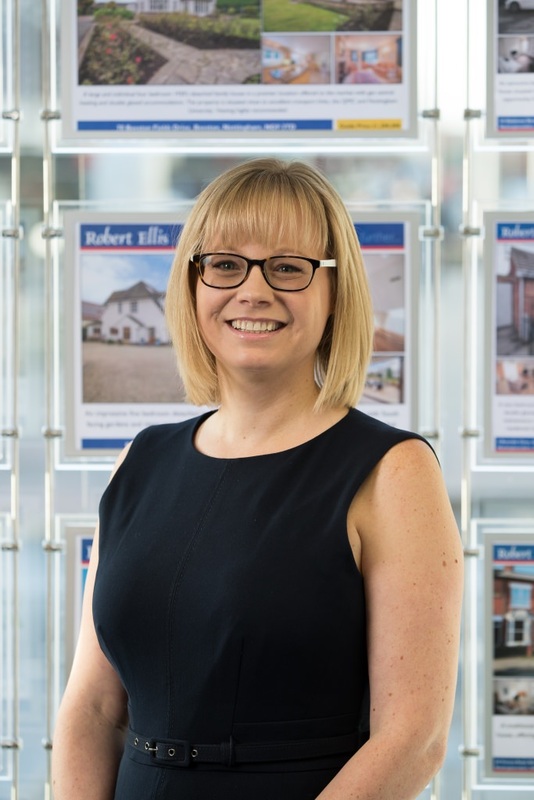 Nicole joined Robert Ellis in 2018 as a Senior Valuer and has over 10 years’ experience working exclusively in the Residential Property Market throughout the region. This has resulted in a deep and thorough understanding of the local housing market. 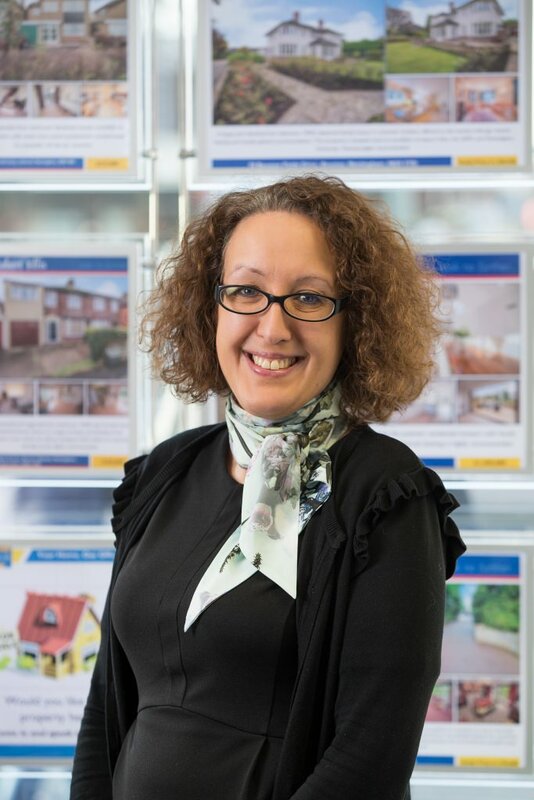 Working for a corporate and an independent estate agent Nicole over the years has a wealth of local knowledge partnered with an eye for detail and great customer service, making sure her clients are well looked after. 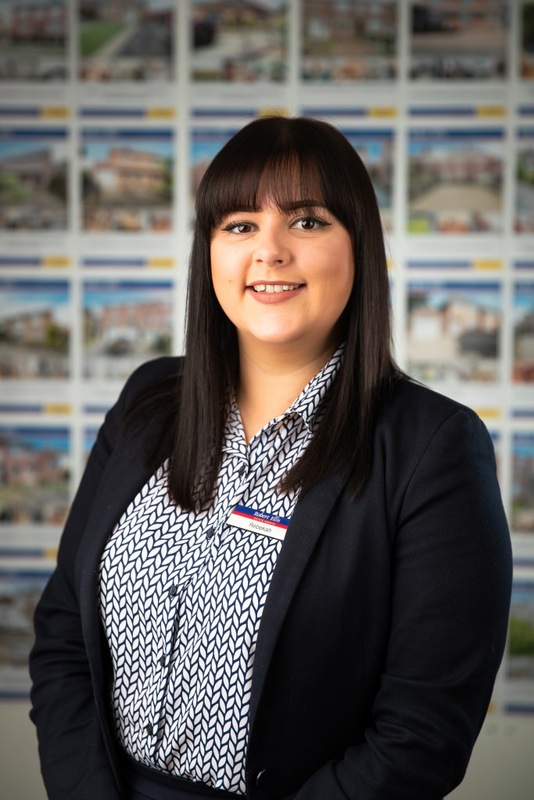 Nicole prides herself on her knowledge of the market working through the ranks from sales negotiator to Senior Valuer She has a great reputation for the service she has given over the years winning gold award in service and performance with her team at the time and is keen to grow and learn more. Nicole also had a couple of years as an Energy Surveyor, surveying buildings all over the country which also comes in very useful in the property industry. Nicole has a growing family who live in Trowell and in her spare time enjoys making memories and the outdoor life with her husband and children, and spending time with their friends. 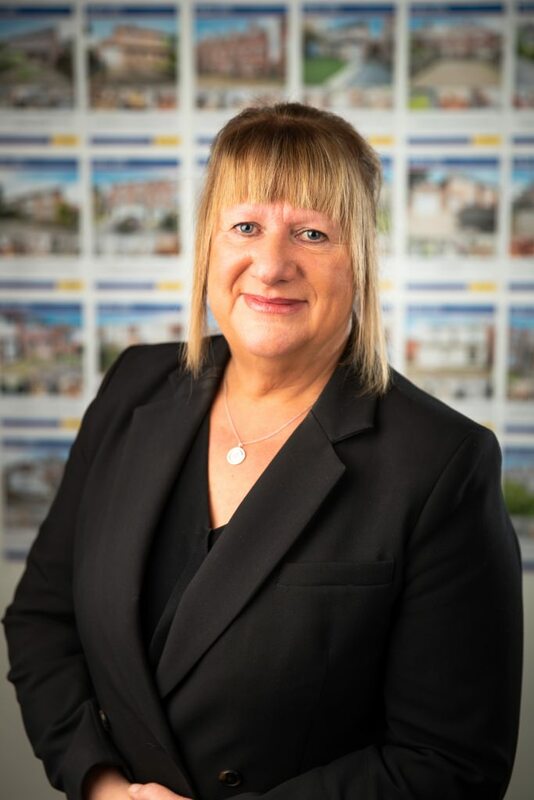 Anita joined Robert Ellis in 1996 after leaving the Royal Navy and is the backbone of our Long Eaton branch making sure that all sales details are prepared quickly and accurately and information about our properties and our marketing material appears on rightmove.co.uk and other web sites. Anita is married, lives locally and has two children who attend schools in the area. 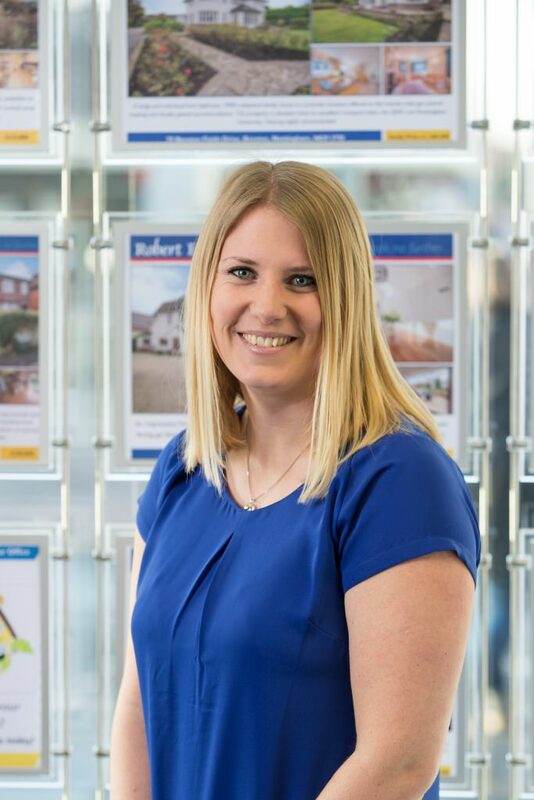 Holly joined the team in 2011 after graduating from Derby University and has already developed a career in the estate agency industry. 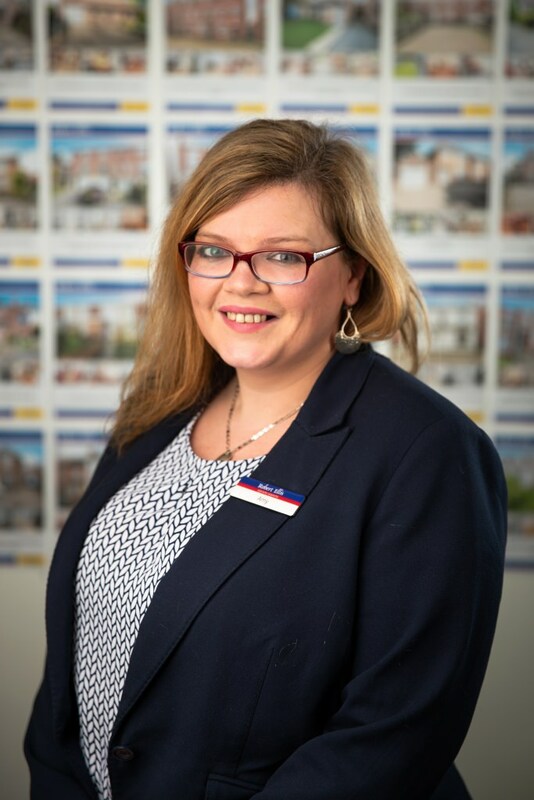 Holly is part of the Long Eaton Sales Negotiator team and has many clients to help to sell their existing properties and where required find them a new home. In the last few years Holly has developed quickly in her role and has taken on the role of Office Manager. Holly was brought up locally and lives in Spondon with her partner. Dawn joined The Mortgage Company as Sales Consultant in our General Insurance Department in August 2012. She has brought with her a wealth of knowledge having had 26 years experience within the industry. Dawn worked for the Halifax within various departments which included dealing with clients Current Accounts, Credit Cards, ISA’s, Business Banking, Mortgage approvals, General Insurance and latterly heading the Insurance Fraud Department. In her spare time Dawn enjoys playing Badminton and walking, she currently lives in Sawley with her husband and 2 children. Caroline went to school and lives with her family in Long Eaton. 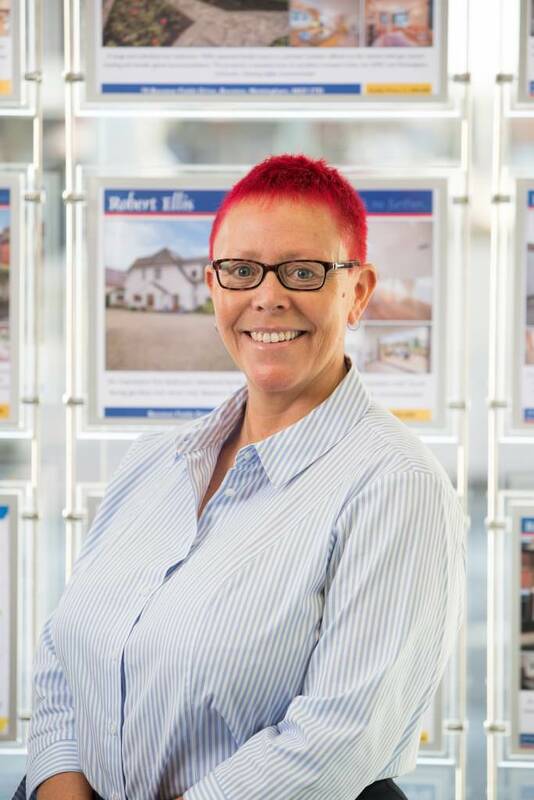 She has three grown up daughters and has worked for Robert Ellis for nearly 30 years and we believe has more experience than any other sales negotiator currently operating in the Long Eaton area. Louise lives in the Long Eaton area with her family and has worked at Robert Ellis for nearly 25 years. 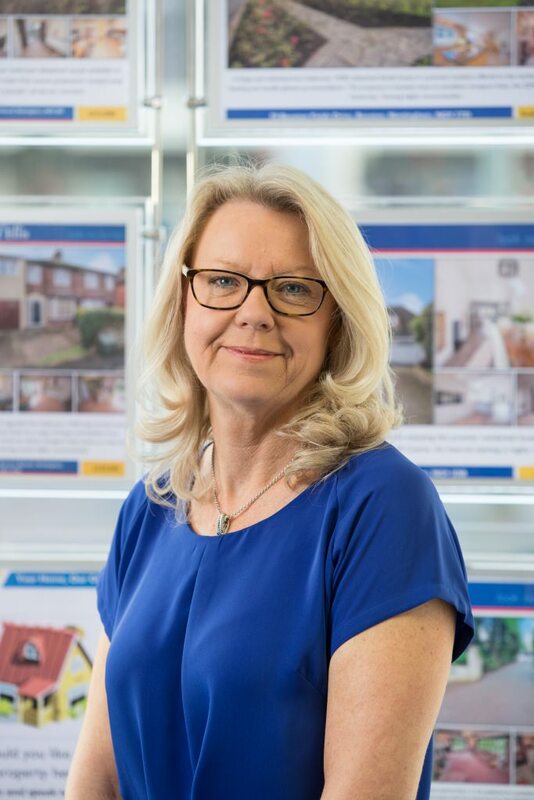 Louise is one of our most experienced sales negotiators who knows the area well and over the years has handled thousands of local property sales. Karianne started working for Robert Ellis in 2000 and now has many years experience of working in the local Estate Agency industry. 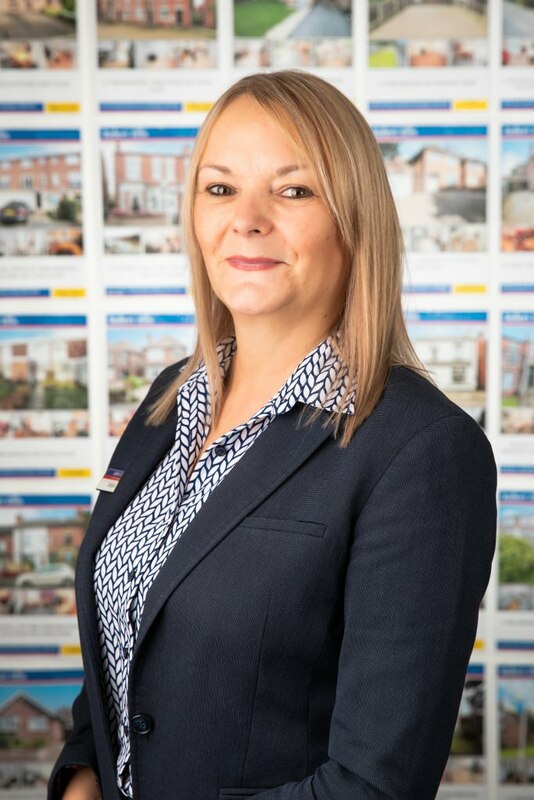 Having always lived in the area Karianne is known to lots of people who have bought and sold properties locally and knows all there is to know about Long Eaton and the surrounding area. 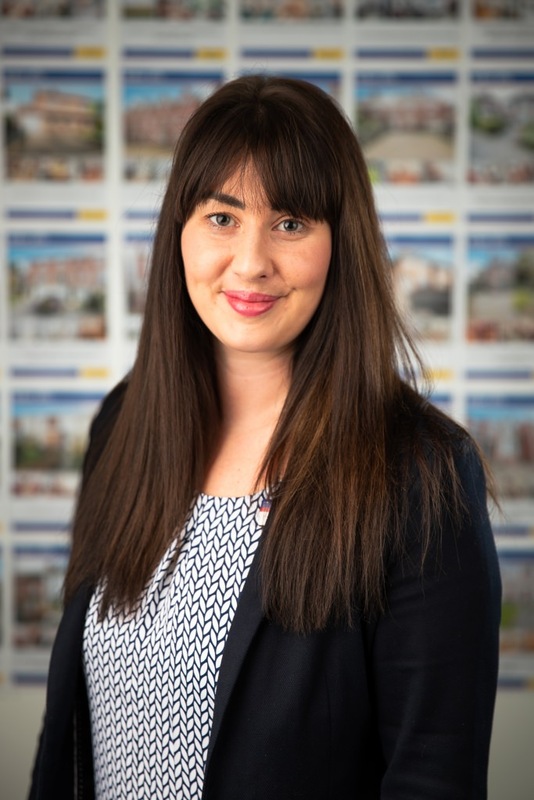 Holly joined Robert Ellis in January 2016 after working for 9 years for a well established Estate Agency business on the East side of Nottingham. 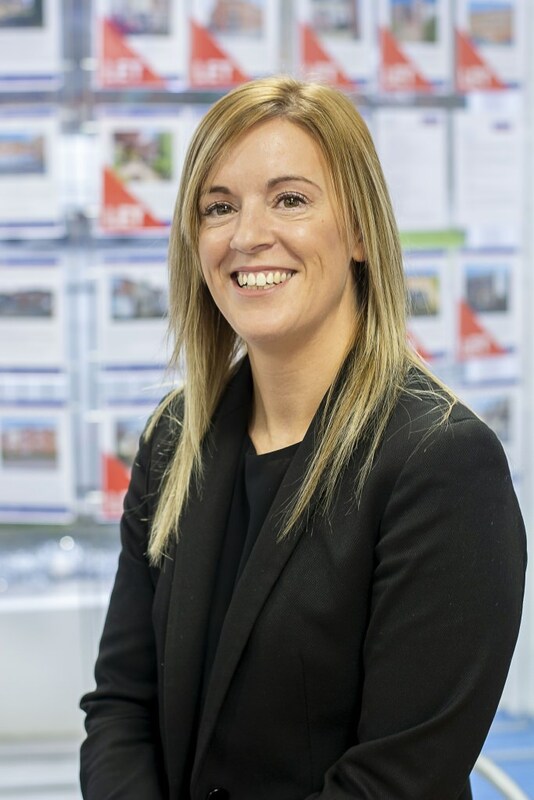 Holly has worked in various areas around Nottingham and has gained over 20 years experience in the Estate Agency industry. 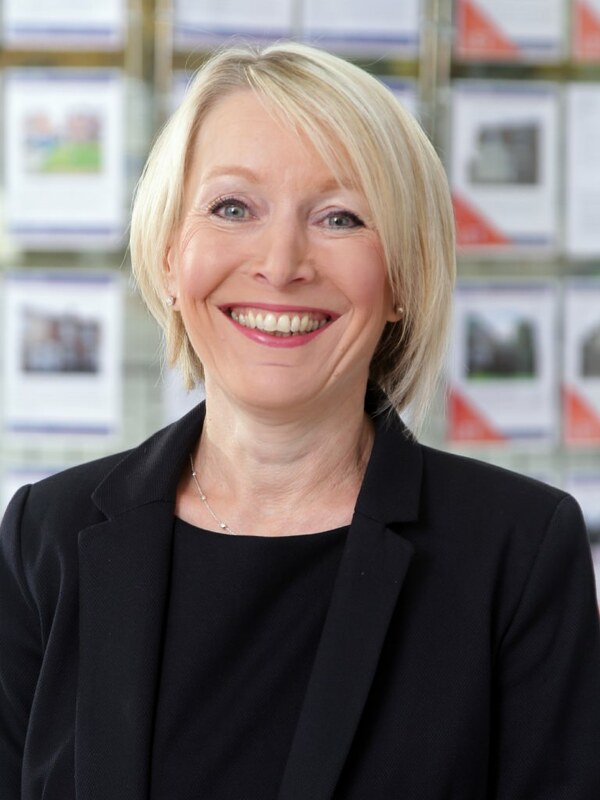 During this time she has worked in all aspects of the business which has predominantly involved lettings and the sale of properties. Holly went to school in the area and lives locally so knows our West Nottingham trade area well. When not working Holly enjoys horse riding and socialising. Courtney was brought up locally and lives in Bramcote with her family. Courtney joined us in March 2016 where she carried out a Saturday role. She attended The Long Eaton School where she has recently completed her GCSE’s. 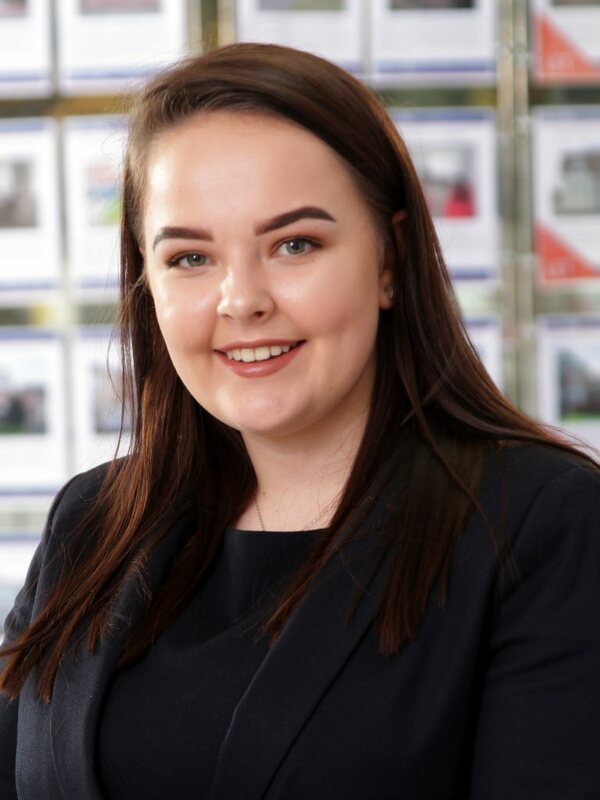 Courtney now works full time in our Long Eaton branch as an apprentice, hoping to gain more knowledge within Estate Agency. 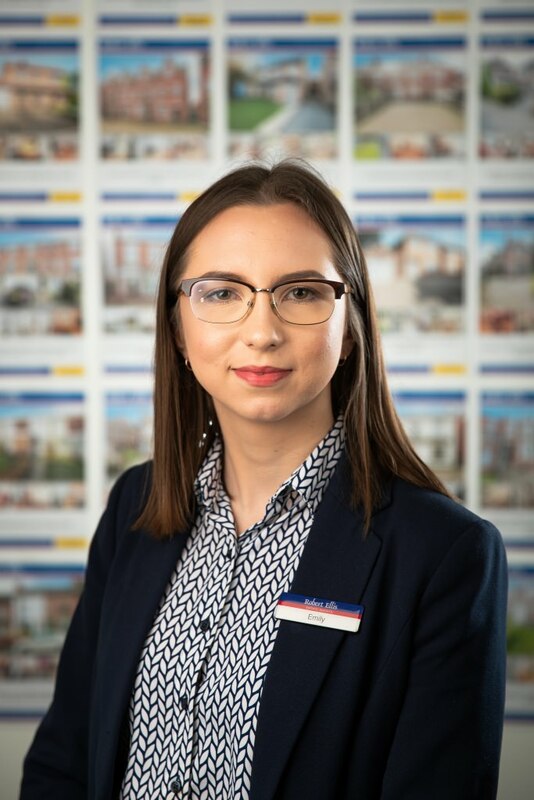 She is currently office based as part of the team handling the high volumes of property enquiries that come into the branch whilst being responsible for helping to keep our displays current and keeping a check on incoming e-mails. In her spare time Courtney enjoys going to the local gym and socialising with friends and family. 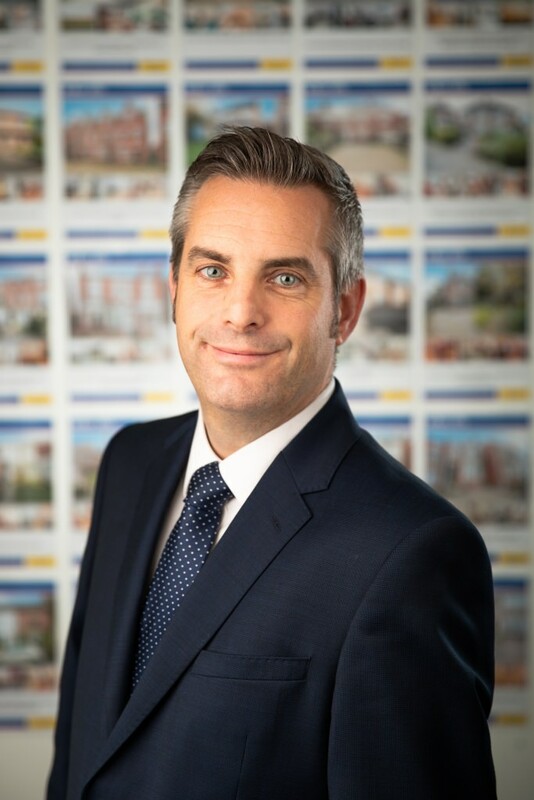 Tim joined The Mortgage Company in June 2000 working out of the Robert Ellis office in Long Eaton, he became a Partner in 2002 as a result of his successful contribution to the company. Tim has worked in the Financial Services industry for 16 years is fully FPC and CeMap qualified and has a wealth of experience in both the Mortgage and Insurance markets. Tim is married with a young daughter and lives in Derbyshire, in his spare time he enjoys playing golf and supporting his favourite football team. Martin joined The Mortgage Company in February 2014. He first began work for the CIS Financial Company, where he gained 13 years of hands on knowledge and experience of this industry. Martin is already proving to be a asset to the company working out of the Robert Ellis Agency in Long Eaton. Martin has local knowledge of the area and lives in the Nottinghamshire/Derbyshire boarder with his wife and two children. He is a dedicated family man and in his spare time likes to go running. 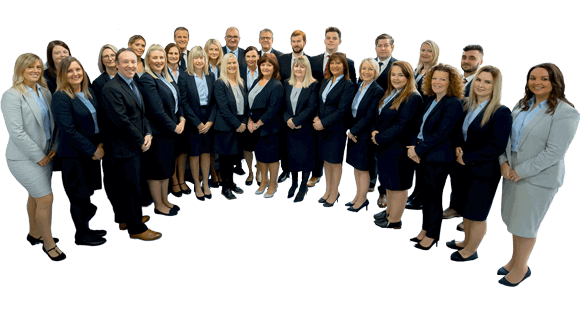 Guy oversees the lettings and management departments at the stand alone Beeson office and the integrated Long Eaton and Stapleford branches. 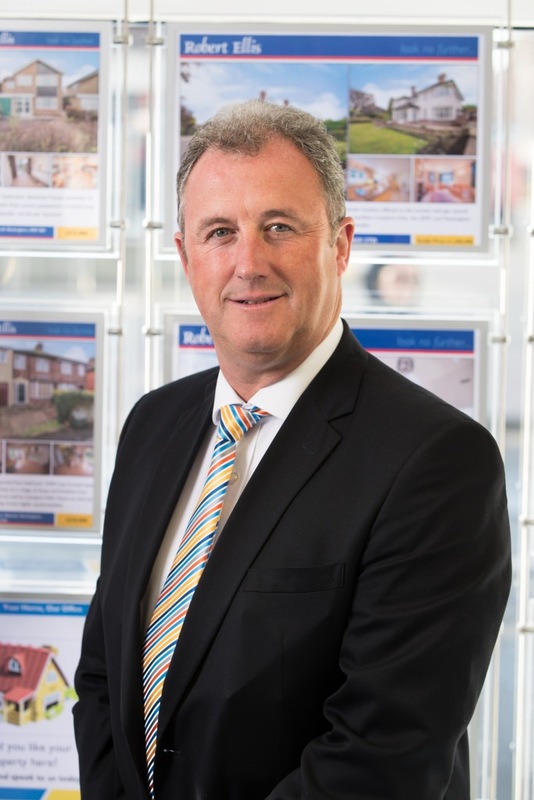 He has over 24 years estate agency experience in the west Nottingham area. 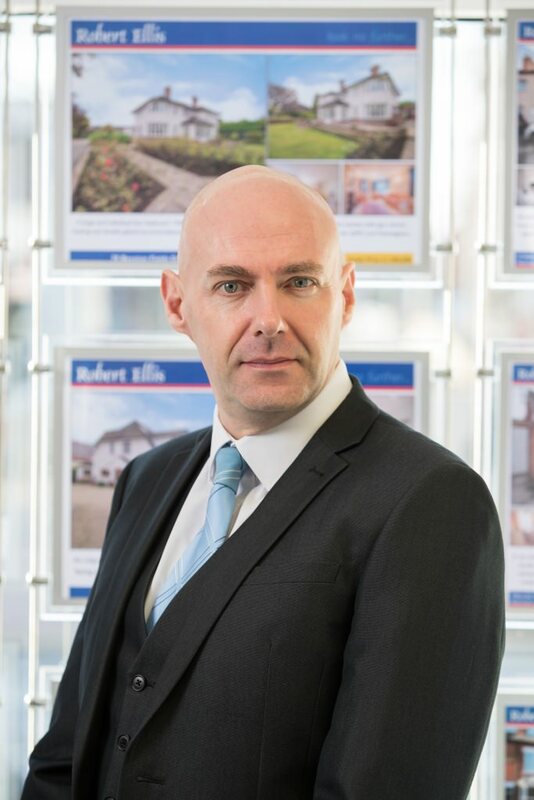 He joined Robert Ellis in 1993 and has specialised in residential lettings for the past 17 years. 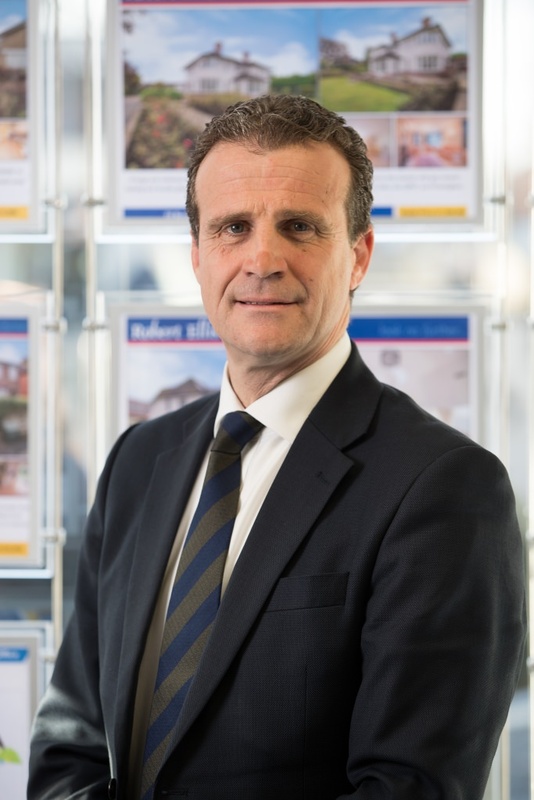 Guy is responsible for the continued expansion of the lettings division within Robert Ellis and has overseen considerable growth year on year. A family man, Guy lives locally and is married with 3 children. 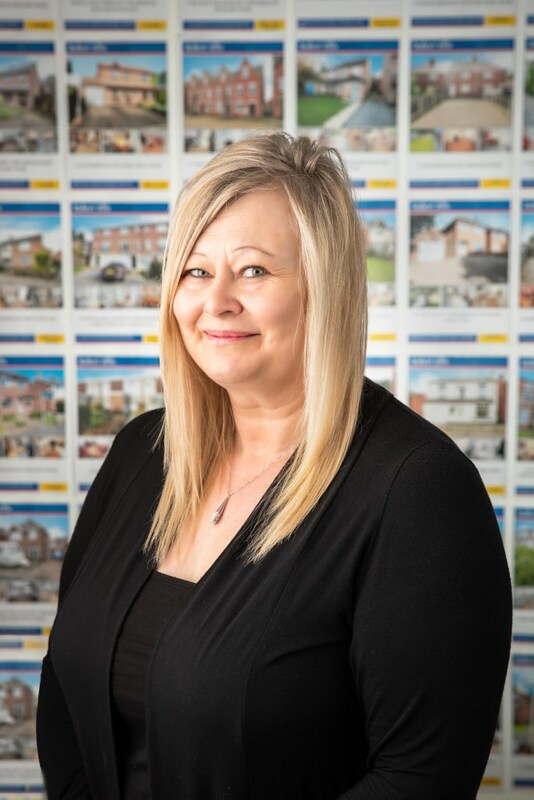 Clair brings many years of experience to her role as Branch Manager and she provides advice and guidance to both tenants and landlords and works closely with the Repairs and Maintenance team to ensure any issues are dealt with quickly and efficiently. Clair joined Robert Ellis from an established City Centre Letting Agency. 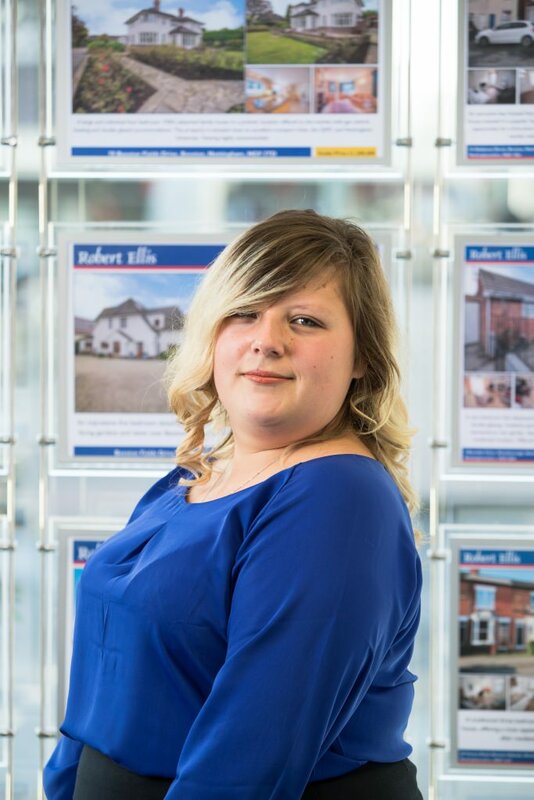 Nicky started at Robert Ellis during November 2011 and is one of the main members of the lettings team at Long Eaton. Nicky deals with a lot of the administrative tasks involving new tenants and liaising with landlords we are acting for. 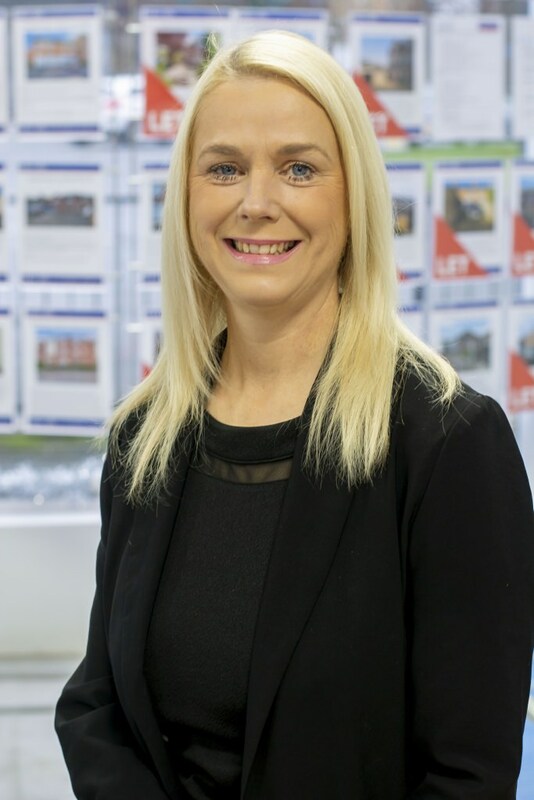 Since joining the company Nicky has seen a significant increase in the volume of business being handled by Robert Ellis in Long Eaton and looks forward to developing her career within the lettings side of the business. Nicky lives locally and knows the West side of Nottingham extremely well, she is married with two young children who attend local schools. 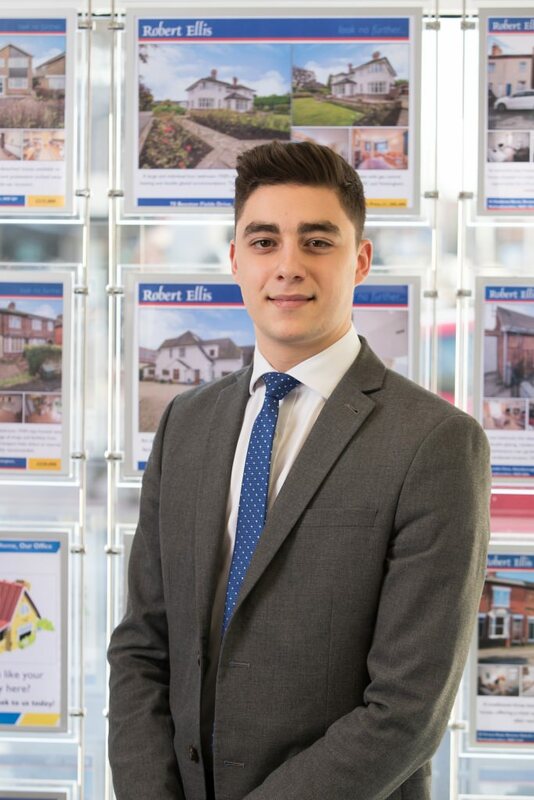 Will currently lives in Chilwell and joined the Long Eaton sales team in March 2016 as a Trainee Estate Agent. 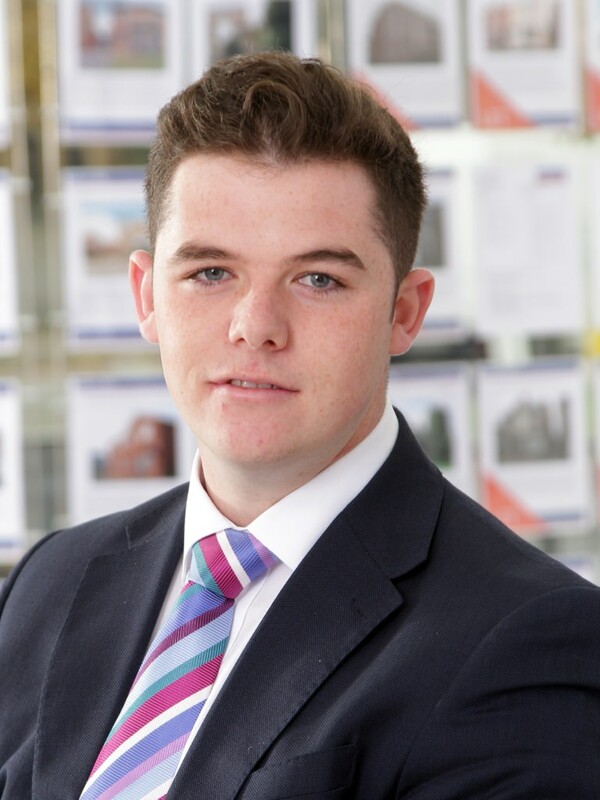 Will has since progressed to our lettings team where his main role is carrying out viewings and keeping tenants happy. In his spare time Will enjoys playing football for a local team. 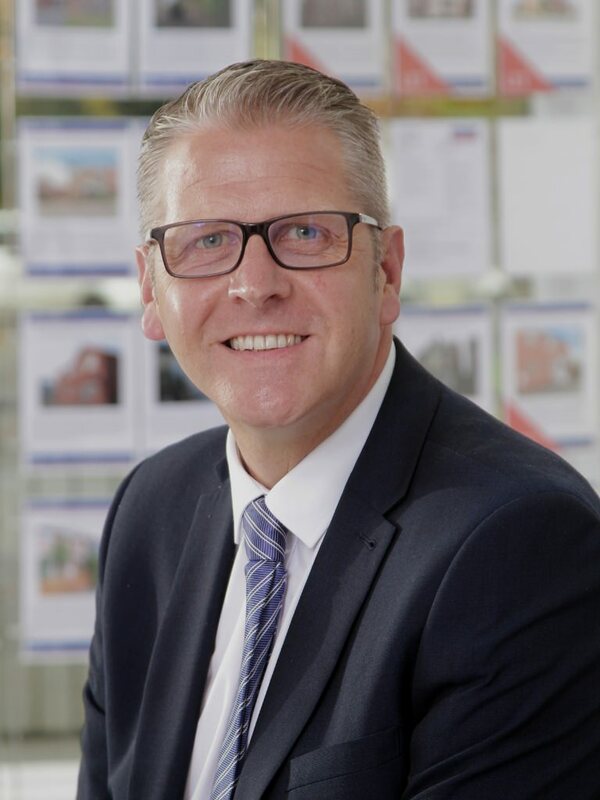 Paul qualified as a Chartered surveyor at Nottingham Trent University (Trent Poly) and was involved with a National firm of estate agents as a surveyor before he joined Robert Ellis in 1989, to open the Beeston Office. Paul has now worked for Robert Ellis for over 28 years and probably knows the values of property in the Beeston area better than any other local estate agent. Paul is now the senior partner at Robert Ellis, he lives locally and is married with two adult children, both working in the industry. Our move to Number 12 High Road in 2015 is our third different premises in Beeston over the years and has already shown an increase in business and foot fall. “The best position in town!” He still enjoys doing everything from viewings to valuations and meeting familiar faces who have been moved by Robert Ellis in the past. 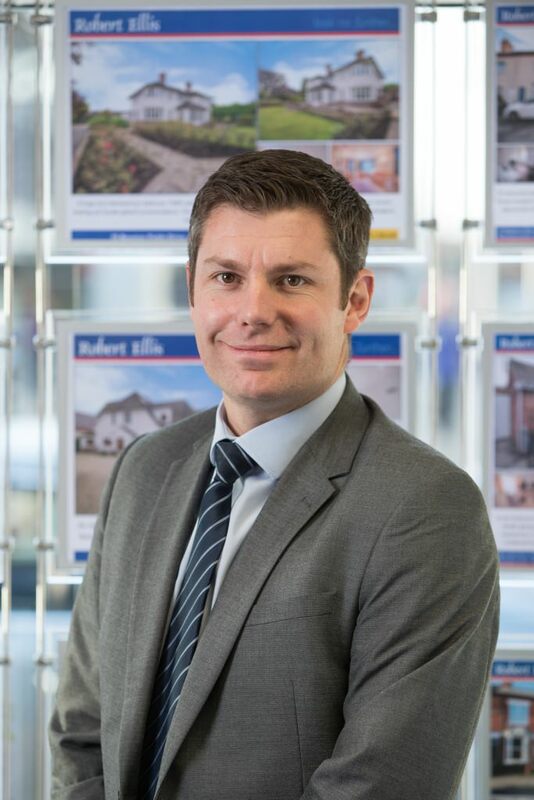 Phil joined the Robert Ellis team in June 2009 as an experienced and accomplished valuer with over 6 years experience within the industry both in urban and rural based agencies. He is primarily based in the Beeston office spending the majority of his time conducting valuations & viewings. Philip qualified as a full member of the Royal institute of chartered surveyors in May 2012. Tom has lived locally all his life and is currently living in Sandiacre. Tom had two spells of work experience at Robert Ellis in 2007 & 2009. After leaving college at the beginning of 2010 Tom then joined the Beeston branch. During this period Tom has gained valuable experience working with the office’s extremely experienced Negotiators and Valuers. 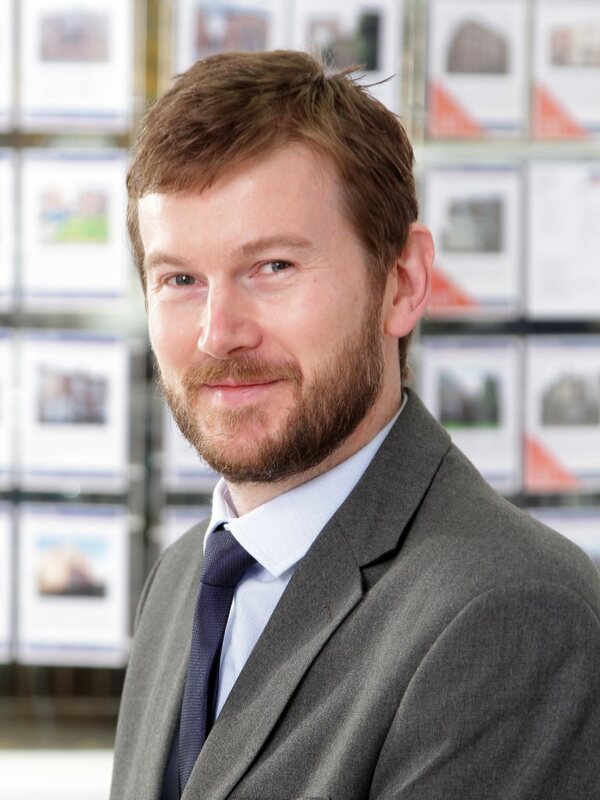 Tom spends his days carrying out valuations and viewings, whilst keeping our clients happy. When not at work Tom can usually be found on the golf course. 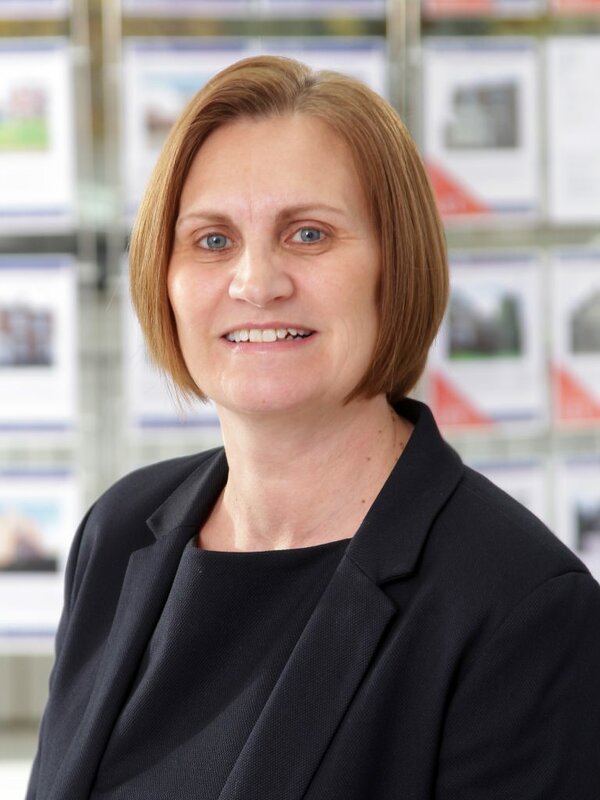 Helen is one of our most experienced negotiators having had over 20 years experience within Estate Agency and New Homes. 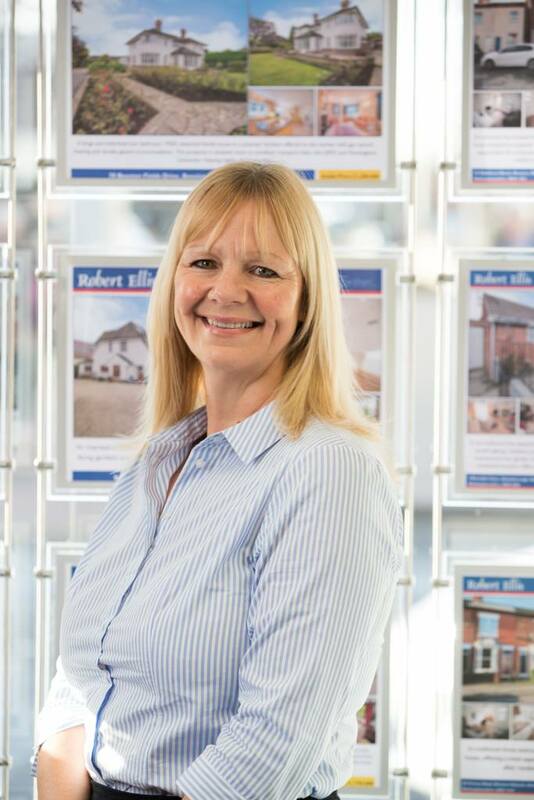 Helen first started working at Robert Ellis over 20 years ago at the Long Eaton Office. She then moved to the North East where she worked in New Homes. Following the birth of her daughter, Helen returned to Nottingham and rejoined Robert Ellis in 2003 and is now working at the Beeston office. Helen lives in Toton and her daughter attends a local school. Marie grew up locally and is still living in the Beeston area. She started out working for a local Estate Agent after leaving school, but then in 1988 decided to change career and work for an independent local optician. 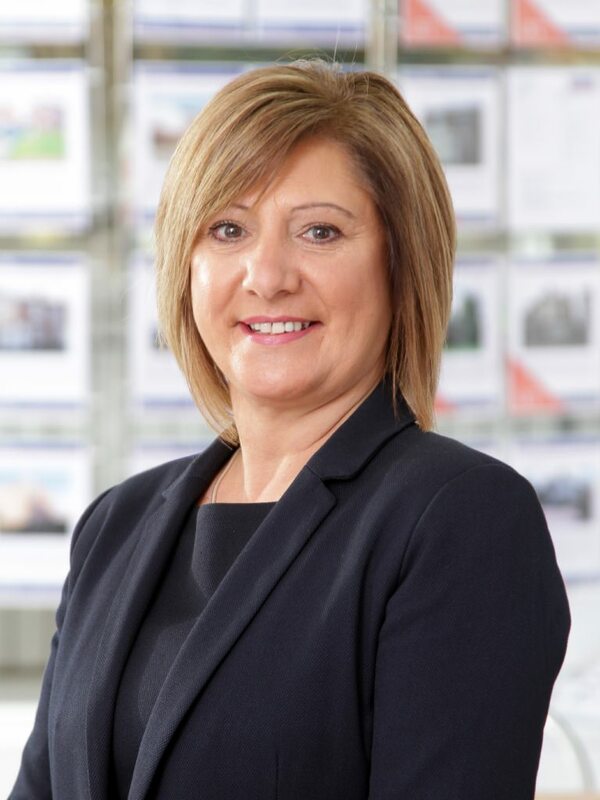 In 2006 Marie, again decided to change her career path and return to Estate Agency working with the Robert Ellis Beeston team rejoining fellow colleagues that she started with in 1983. Marie is the face of Beeston. Karan carried out a weekend role at Robert Ellis in the 1990’s before working within the education sector. Returning to Robert Ellis in August 2011, she was reassured to see a number of former colleagues still working for the company. Karan now works in a part time role doing accompanied viewings and in the office. She has extensive knowledge of Beeston, Chilwell and the surrounding area. 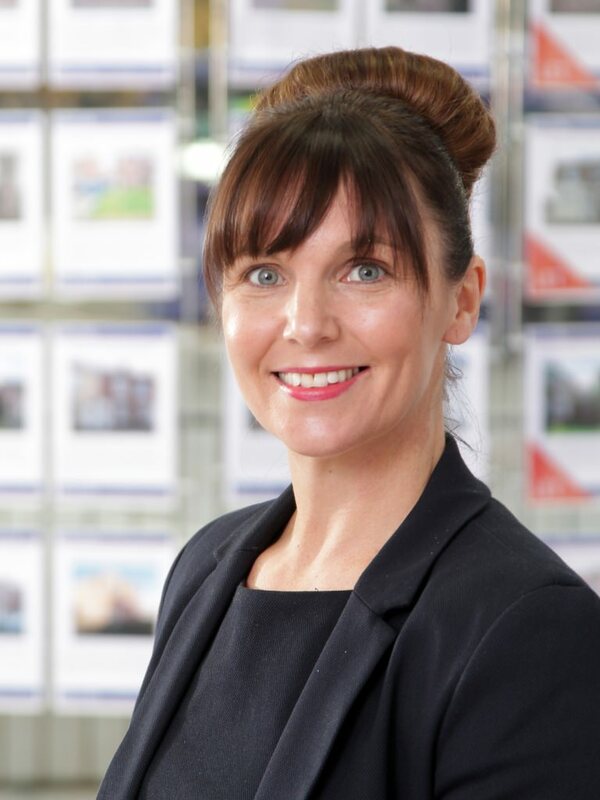 Melanie has worked in local estate agents for a number of years and joined Robert Ellis in March 2014. Brought up in Sandiacre, she has lived in and around the West of Nottingham all her life and has now settled in Chilwell, so has a broad knowledge of Beeston and the surrounding areas. Melanie loves the buzz of meeting new people and the variety within the role that Sales Negotiator brings. She enjoys helping both Vendors and Purchasers through the sometimes stressful process of home buying and finds it very rewarding. Melanie likes modern soul music, socialising and meeting up with friends in her spare time, and has three grown up children. 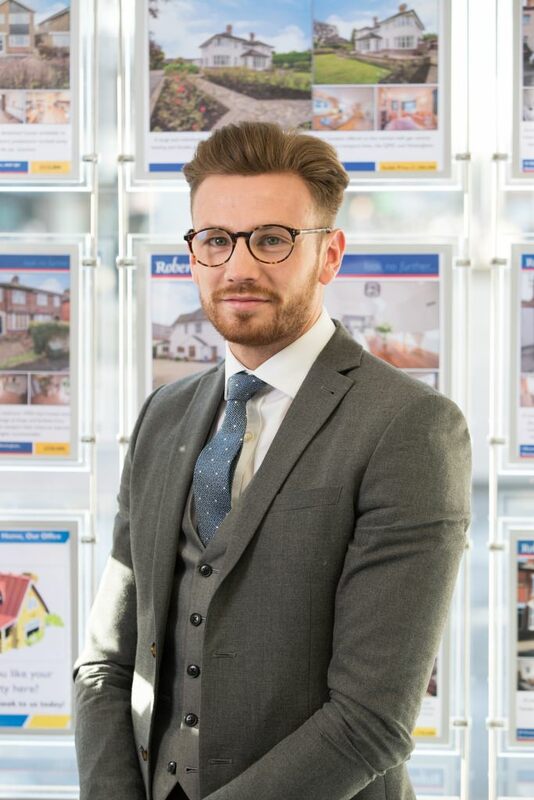 Sam joined the Beeston sales team in 2018, having worked for a national estate agent previously. Sam grew up Wolverhampton and upon finishing university moved to Nottingham in 2016. In her spare time she enjoys going to the gym and socializing with friends and family. Jodie joined the team in May 2018, having joined us from a corporate surveying company. Jodie grew up in Castle Donington and completed her GCSE’s and A-Levels at Hind Leys college. When not at work Jodie enjoys cooking, reading, attending festivals and playing with her 4 budgies. Joe joined the team in 2014 and upon finishing college in 2017, his role within the Beeston team became a full time position. 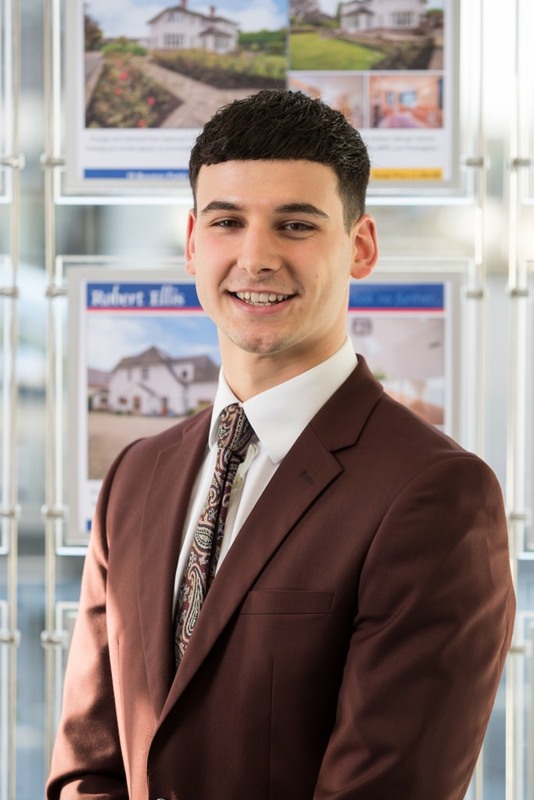 Joe is currently training to be a valuer and spends his days carrying out viewings, put ons and learning the ins and outs of the business. In his spare time he enjoys playing golf. 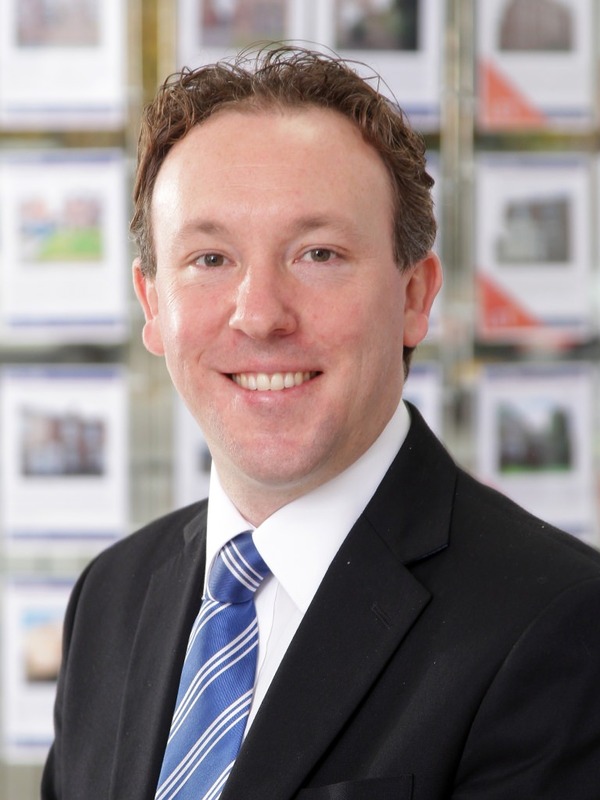 James joined The Mortgage Company in January 2012 and brings almost 20 years financial services experience with him. Starting out with the Halifax dealing with queries from clients with existing mortgages, he became a mortgage arrears counsellor, and then a mortgage underwriter. After almost 8 years on the administrative side of mortgages, he became fully CeMAP qualified in 2000 and has helped clients for the past 12 years in arranging their mortgages. He says that the satisfaction of knowing he has helped someone to buy a house is the reason he loves the job he does. James knows the local area well, having lived in Bramcote when he was younger and attended Bramcote Hills Comprehensive School. He has a daughter, and lives on the Nottinghamshire/Derbyshire border. In his spare time James will either be out running, in the gym or riding on his motorbike. After years of providing legal advice for a homeless charity, Matt made the move over to mortgage advice in 2014. Matt was born in Newcastle, moved to Sheffield to study at Hallam University and, after 20 years, decided to make to move to Nottinghamshire. He currently lives in West Bridgford with his wife and daughter. Matt is a huge film buff and is always looking to add to his record collection. He loves/hates supporting his football team and enjoys playing squash, basketball and running. 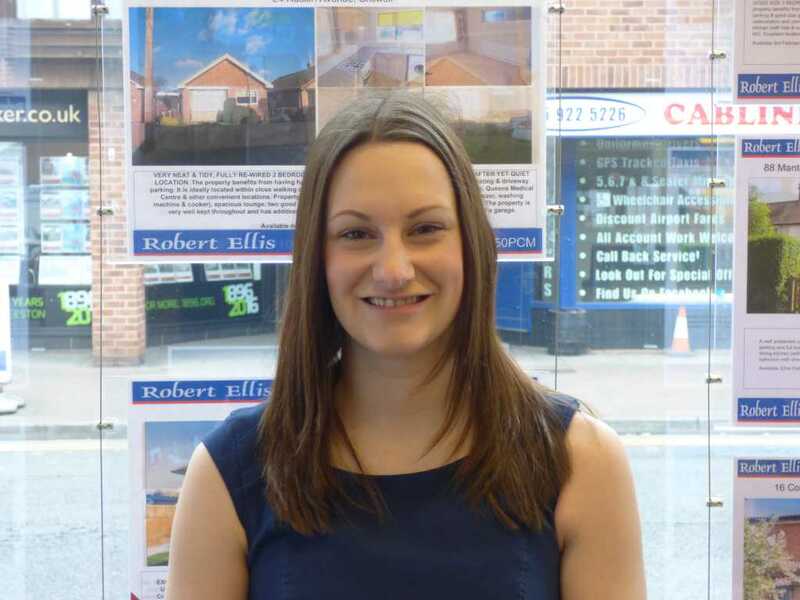 A valuable asset to the Beeston lettings branch, Louise has been with Robert Ellis for the past 5 years. Returning to her roots having worked for a reputable estate agent some years ago then spending 8 years teaching abroad. 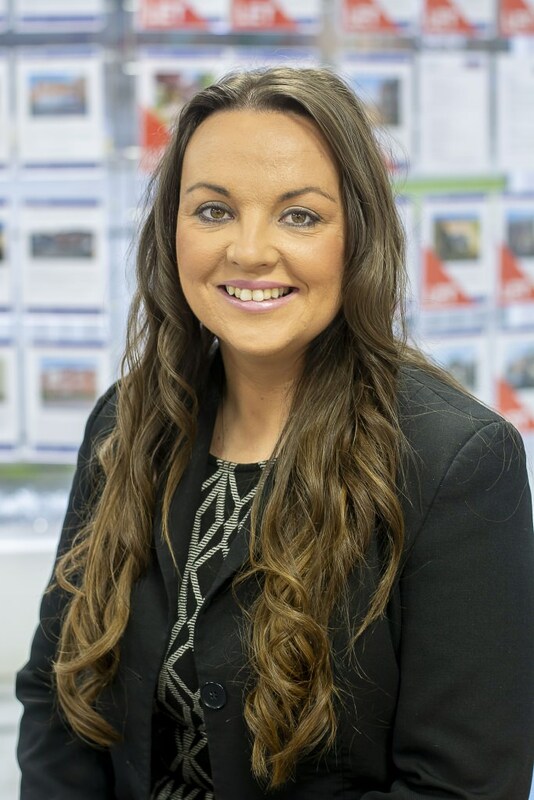 Now back working within the property industry her main focus is to continue to develop our client base and build relationships with landlords and tenants. 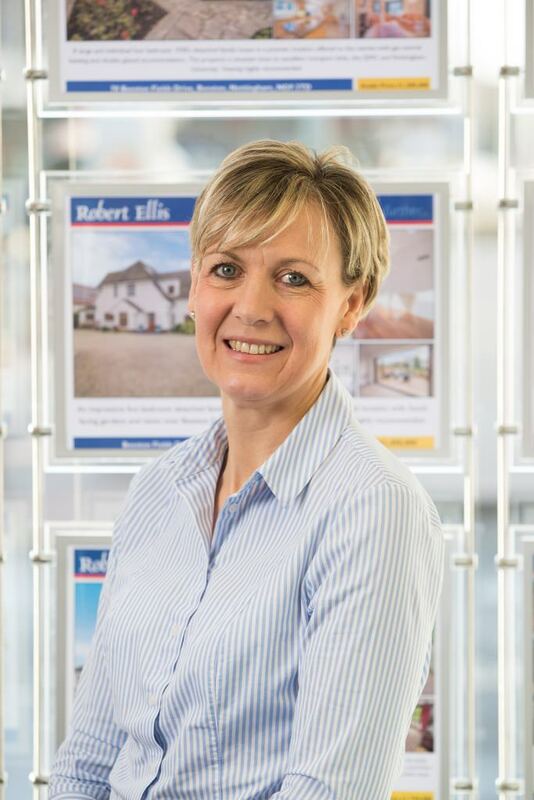 As a long serving member of the Robert Ellis Property Management team Laura has worked within all facets of the business. 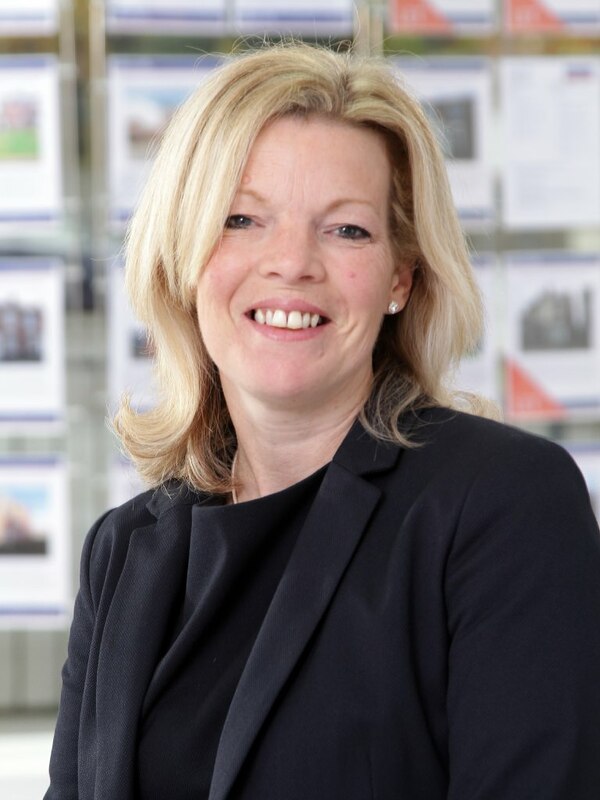 Her current role as a senior lettings negotiator means she is best placed to match suitable tenants to the right properties and deal with all aspects of the resultant tenancies. She has an in depth knowledge of property management, lives locally in Beeston and is married with a young child. A graduate with a working background in banking a recent addition to the accounts team. Working closely with the Accounts Manager, Emily’s role includes liaising with Landlords, Tenants & Contractors regarding rent payments, invoices & lease renewals. She also deals with general administration duties such as updating client records and processing online payments. Ashleigh has been with us for nearly 3 years and is an integral part of the Accounts team based in Beeston. 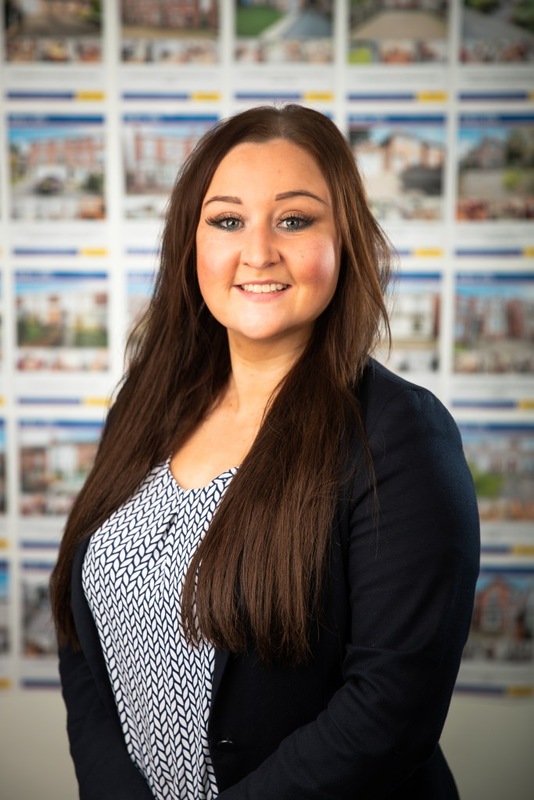 Her previous, extensive experience within lettings and customer service makes her a valuable asset to the Robert Ellis Team and Ashleighs role includes liaising with Landlords, tenants and contractors regarding rent payments, invoices, daily data entries and processing any payments. She enjoys socialising and spending time with family and friends. 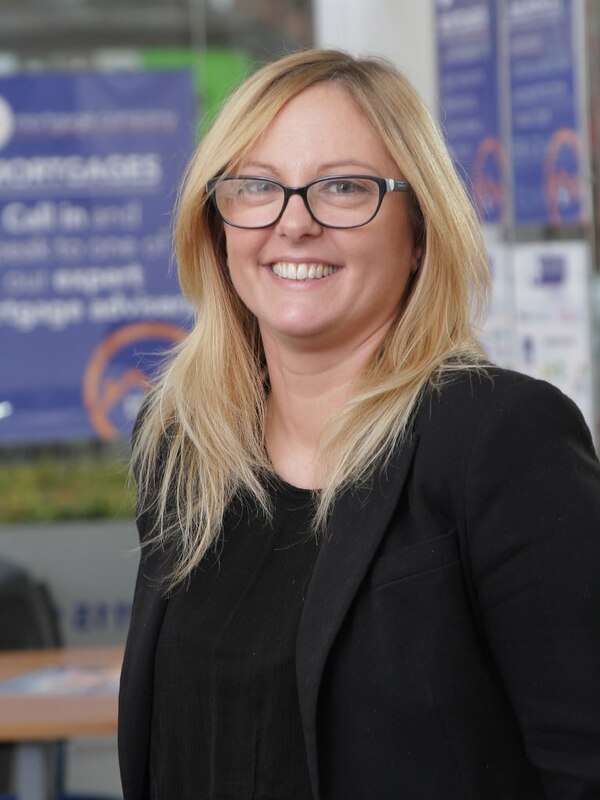 Claire has worked at Robert Ellis for 6 years and deals mainly with the administrative tasks involving inventory preparation, gas safety certificates, booking viewings, repairs and the advertising of new properties on the market. Claire lives locally and knows the west side of Nottingham extremely well meaning she can provide Landlord’s with in-depth knowledge of the area. Abbie joined Robert Ellis in early 2017 as a lettings negotiator, responsible for matching prospective tenants to suitable properties, agreeing lets, processing references and tenancy applications, negotiation and repairs. 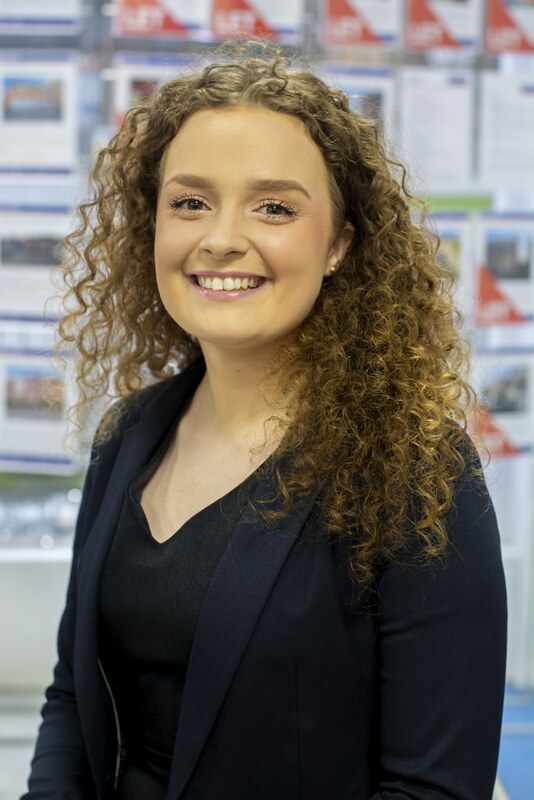 Abbie graduated from De Montfort University in 2015 and is always searching for ways to expand her knowledge and skills, currently studying for the ARLA qualification to develop her career within property management. Paul was brought up in the West Nottingham area having gone to school at Bramcote Hills and then went to University at Staffordshire to study Valuation Surveying. Paul has worked at Robert Ellis for nearly a quarter of a century and became a Director in the business in 2002. On a day to day basis Paul is responsible for the performance of the business in Stapleford which is a branch of the company that is going from strength to strength. 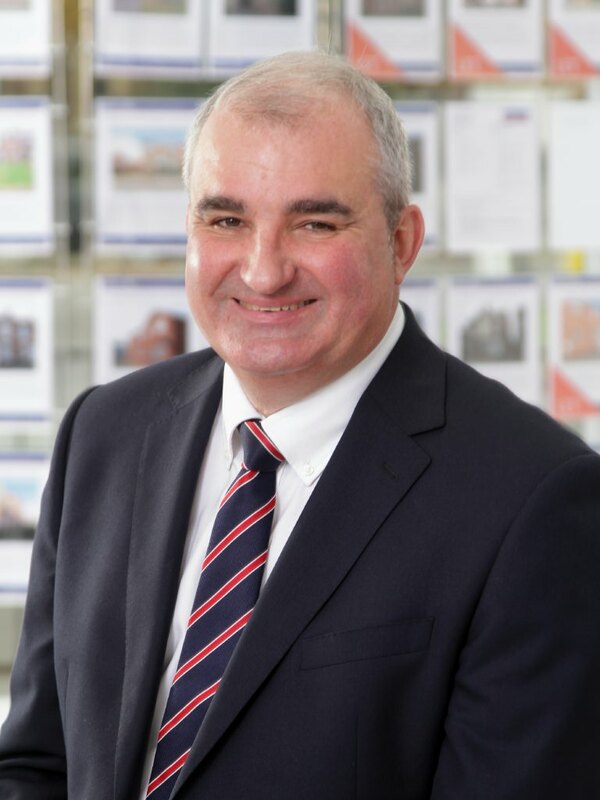 Paul is also involved with the running of the Beeston branch and has vast experience of valuing properties in the West Nottingham area. Paul is married and has two teenage boys and when he gets a bit of down time likes playing golf and holidaying in France. Nathan and his family have lived in Stapleford all their lives and he went to St Johns C of E and Bramcote Park School. After a term at college he went to gain work experience with a corporate Estate Agency in Wollaton during the summer holidays and not looked back since. 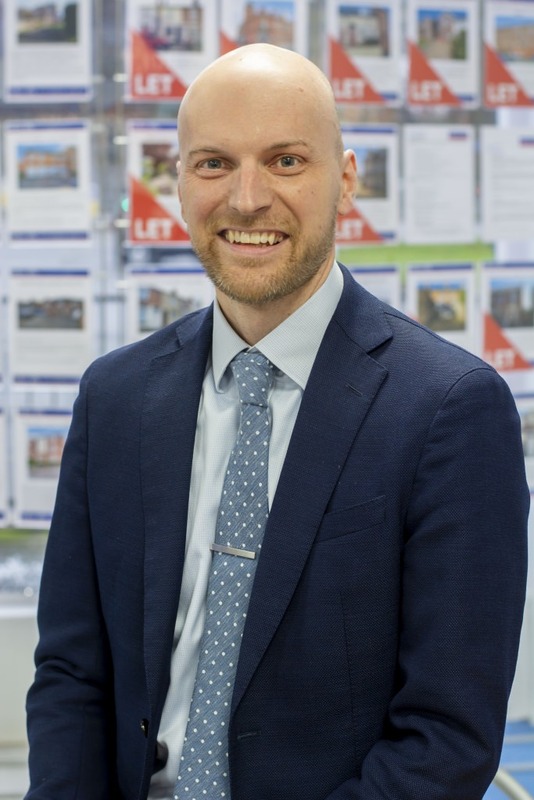 Nathan joined Robert Ellis, Stapleford in 2016 as a valuer and brings with him over 10 years Estate Agency experience starting as a junior sales negotiator to now being a vastly experienced property valuer. He is excited to work in the area he knows like the back of his hand. Nathan is married with two children (boy and girl) and two very enthusiastic dogs to keep him busy in his spare time. 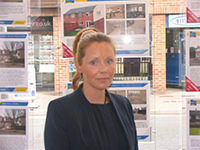 Claire has lived in the local area all her life and began her career in the Long Eaton office of Robert Ellis in 1993. 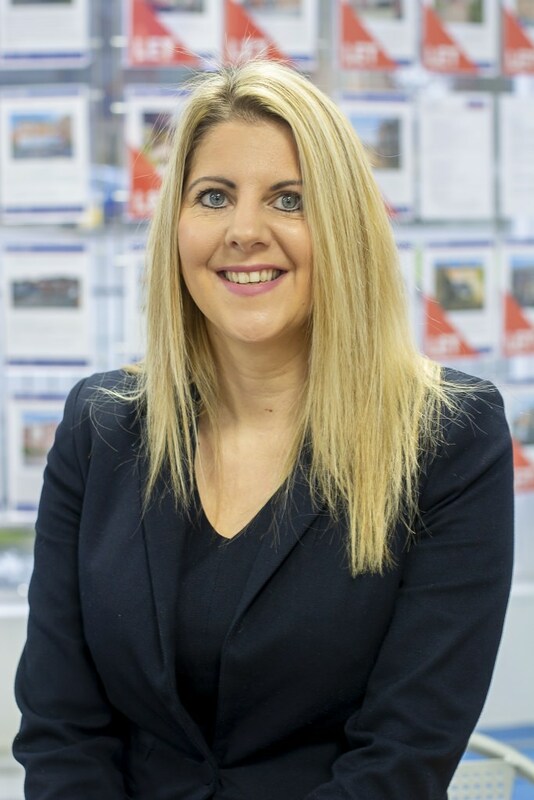 Since then she has worked in all three sales offices and during this time Claire has gained a wealth of knowledge and experience working her way up from a junior sales negotiator role to her position now as the Stapleford Office Manager. In 2003 Claire moved to the Stapleford Office and has seen the office go from strength to strength due to the hard work, enthusiasm and commitment of all the Stapleford team. Debbie joined Robert Ellis at the Stapleford office in September 2011. 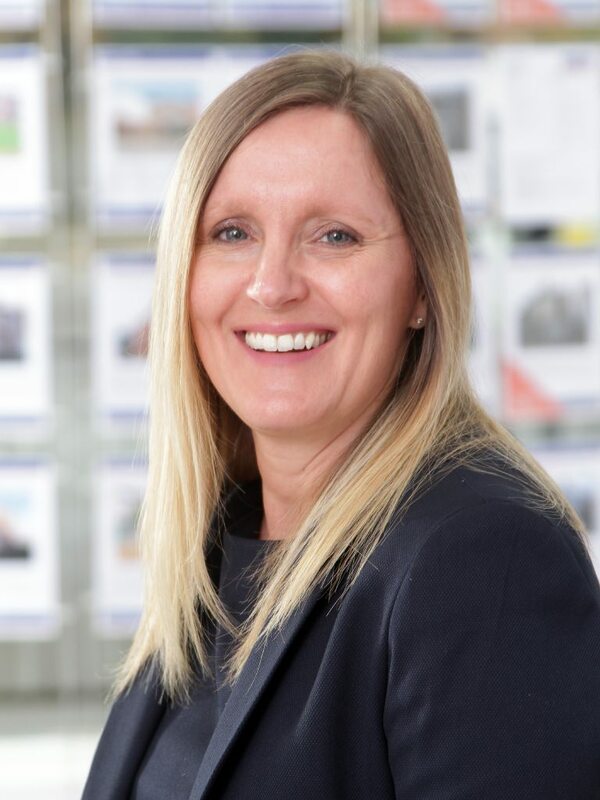 Debbie has worked as a sales negotiator for over 16 years throughout the Nottingham area and brings with her a great deal of knowledge and experience. She lives in Long Eaton and knows the local area well. Debbie has two grown up children who have now left home and enjoys visiting them and especially spending time with her granddaughter and soon to be grandson! Debbie also enjoys walking in Derbyshire and the Lake District and recently completed the heights of Helvellyn. Beth joined the Stapleford Office in October 2014 as a full time Administrator, she has an important and varied role within the branch typing and preparing sales details and ensuring our marketing material appears on all websites. Beth lives in Beeston and attended Chilwell Comprehensive School, after leaving school she spent 2 years at Castle College in Beeston and Stapleford. She then began her career as a Play Worker at Round Hill School in Beeston where she remained for 6 years during her time there she was given the opportunity of working in the school office as an Administrator and in her spare time she gained Level 2 in Business Administration. Beth has a passion for cars and enjoys modifying her own car and taking it along to car shows. She is a special Aunty to her 2 year old nephew. Natalie has lived in Toton and surrounding area’s all her life and she went to George Spencer School. 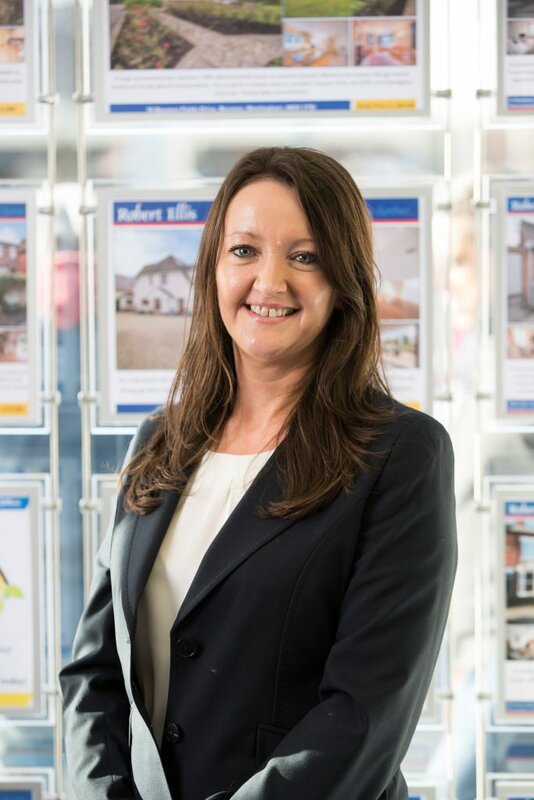 She started her Estate Agents life as a negotiator at a corporate agent in Long Eaton before moving to another local company. Natalie left her role to have her first child and having had a seven year career change and having a second child, she missed everything about working in an Estate Agent. Natalie is delighted to have joined Robert Ellis in Stapleford and is enjoying being back in to her new role. Rebekah has lived in Ilkeston for the majority of her life, attending Kirk Hallam Community Technology College followed by Ilkeston Sixth Form, finally finishing her education at Sheffield Hallam University studying Public Relations and Media. On finishing university, Rebekah has had a variety of other roles including working for a corporate law firm based in Nottingham city centre. She realised that estate agency was what she wanted to go in to and has had other jobs in the area, including sales negotiation in Eastwood and lettings negotiation in Nottingham City Centre. Rebekah loves music and in her spare time likes to go to gigs and festivals. 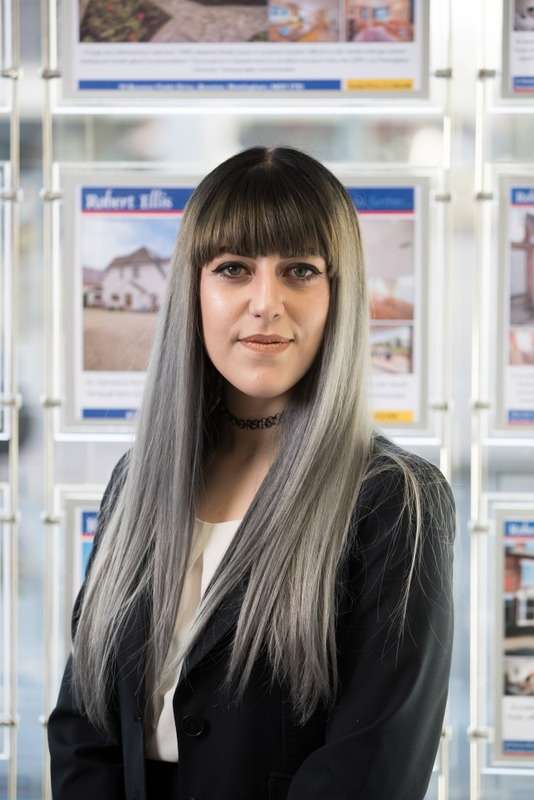 She is excited to become part of the Robert Ellis team in Stapleford and get back in to sales negotiation. Holly began working at the Stapleford Office in July 2018, shortly after graduating from the University of Central Lancashire. 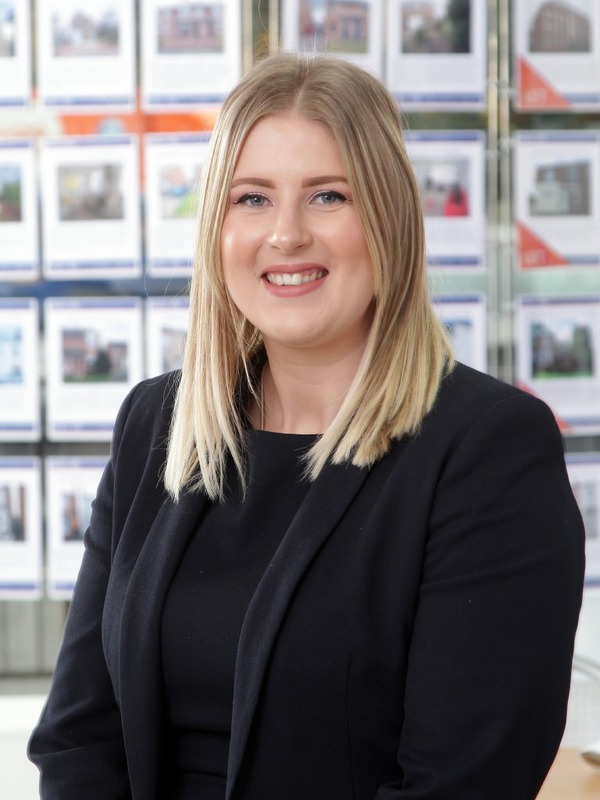 Initially joining the team for a temporary job, Holly discovered that she enjoyed working in the estate agency world and is now training to be a sales negotiator. Apart from her short stint in Preston, Holly has lived in the local area all her life and attended Wilsthorpe Community School followed by Bilborough Sixth Form College, so she knows the area well. In her spare time, Holly is a fan of music, having played the piano from a young age, and loves going to the cinema. She is delighted to become part of the team at Stapleford and to learn more about sales negotiation. Angela has worked for Robert Ellis since 1993 in the Survey Department, having just recently taken up the roll of Administrator covering the Stapleford Offices. 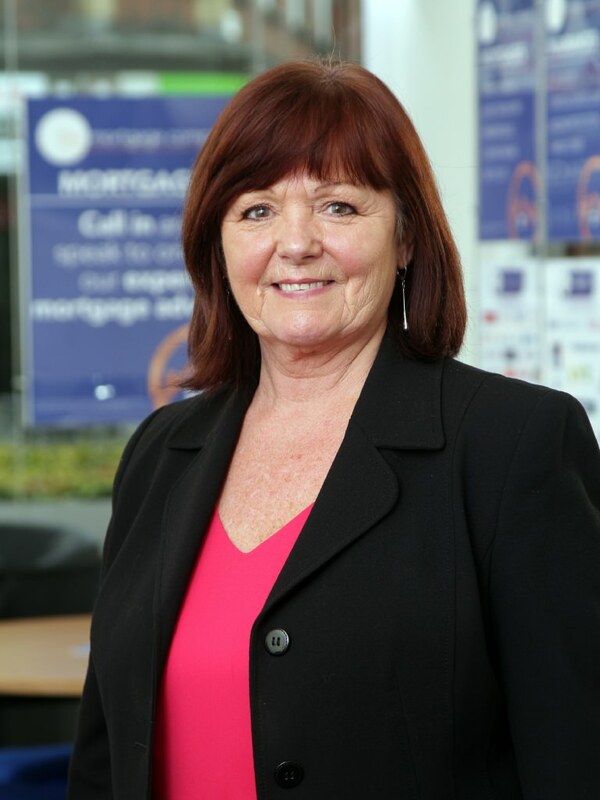 Angela attended the former Grammer School in Long Eaton and after stint at college, studying the necessary secretarial skills, started working life as a Legal Secretary for a firm of local Solicitors and progressed into Estate Agency in 1977 where, in various guises, she has been ever since. She is married with one ‘grown up’ son and has lived in Toton since 1984. 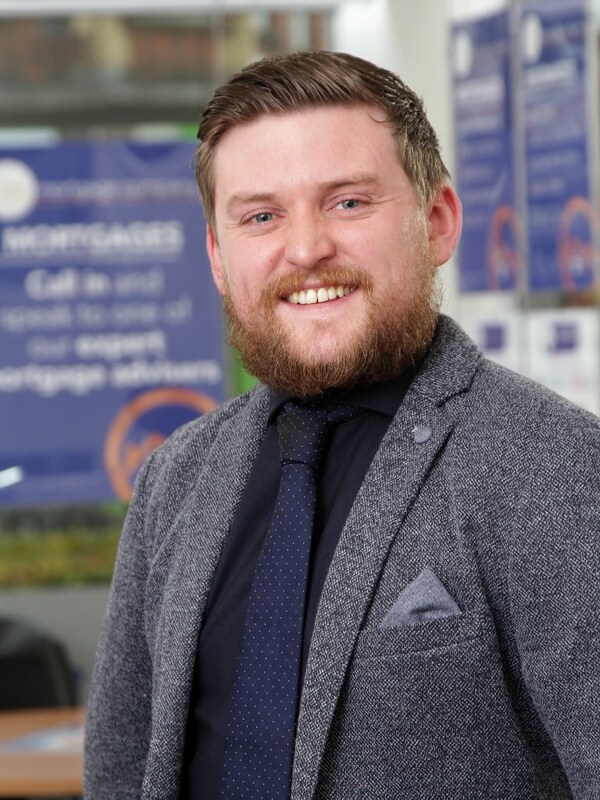 Tom is the resident mortgage adviser for the Stapleford Branch. He lives locally in Sandiacre and knows the area well, indeed he attended Friesland Comprehensive! After he finished school Tom went on to study Pharmaceutical Sciences at Sheffield Hallam University. Deciding medicine wasn’t for him Tom began working in an Estate Agent and soon found his calling, with a head for numbers and wanting to help people Tom trained to become a qualified Mortgage Adviser and worked for a corporate agent. Tom joined us at the start if 2017 looking for a new challenge and to continue with his drive to help people buy their home. When Tom gets some down time he enjoys blowing off steam in the gym and watching various sports. At home you’ll always find him with an instrument by his side after teaching himself the guitar, piano and anything else he can get his hands on. 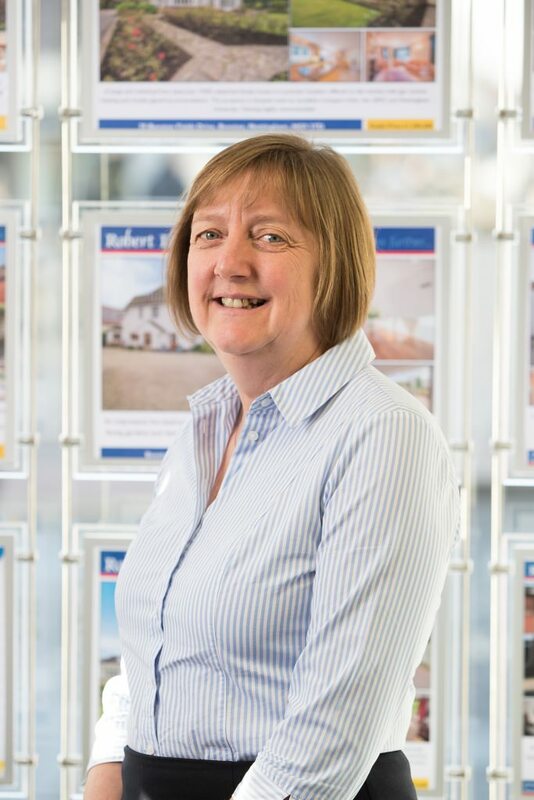 Prior to joining the Robert Ellis team Wendy worked for a regional Estate Agency business and has over the years gained extensive experience in dealing with people who are involved with buying, selling as well as letting property. Building relationships with landlords, tenants and contractors, Wendy continues to build the rental branch in Stapleford. She grew up and went to school in Sandiacre, now lives locally and is married with two grown up children. Wendy enjoys spending time with her family and walking her chocolate Labrador. 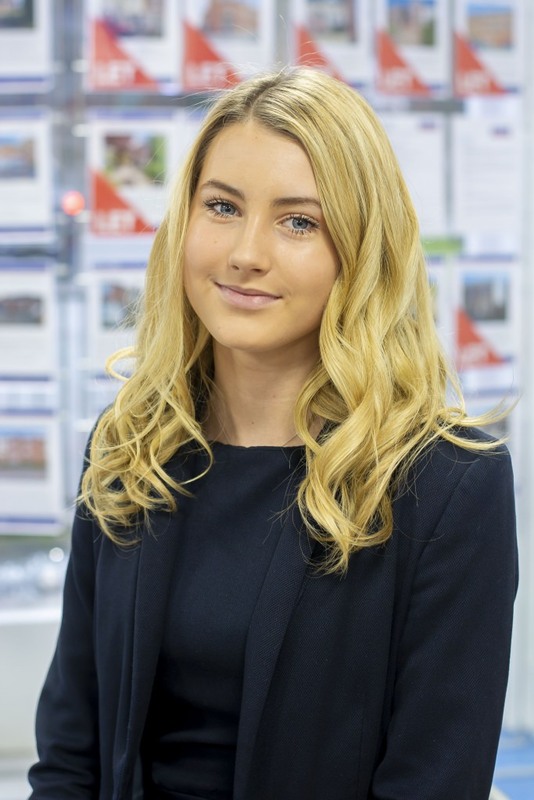 Emily is part of the new lettings team at our Stapleford branch. Emily has lived in Draycott since a young age and so brings experience in knowing the area and its surroundings. 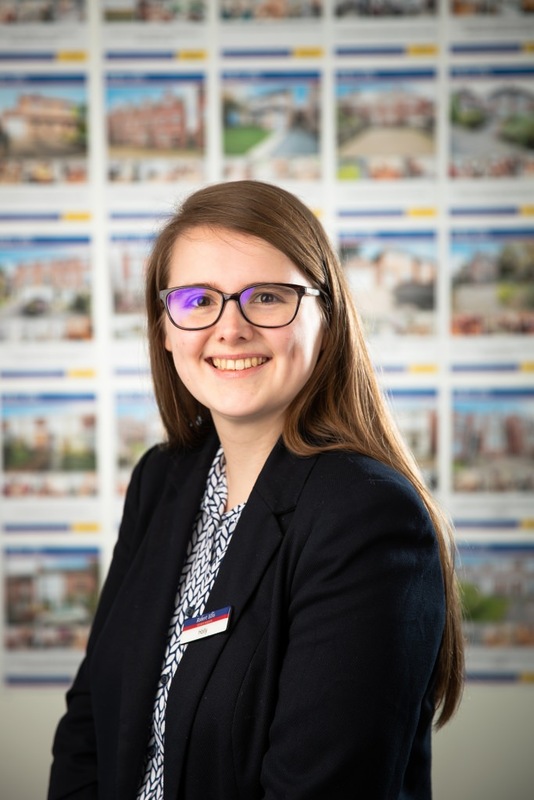 As a lettings negotiator, Emily is responsible for matching prospective tenants to suitable properties, agreeing lets and processing references and tenancy applications. 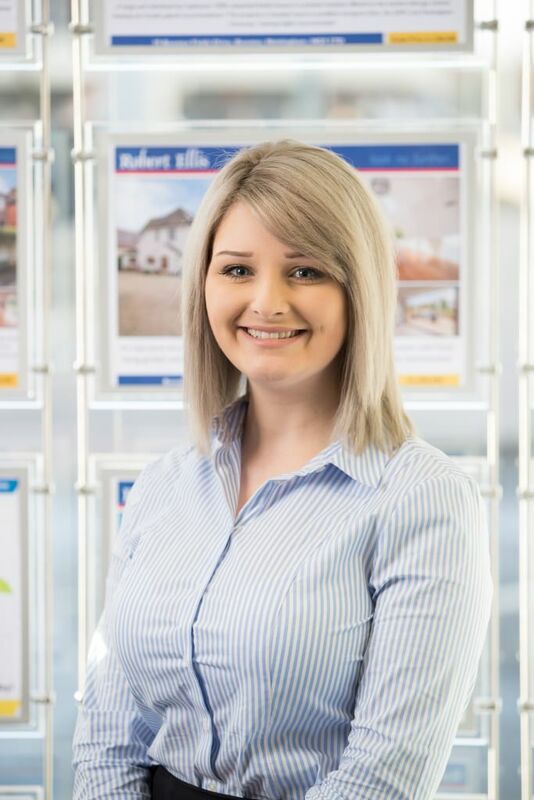 Amy joined Robert Ellis Letting Team in Stapleford in October 2018. She has lived in Stapleford all her life attending Fairfield primary school, George Spencer school & technology college then Arther Mee College. Amy also has worked locally for the last 16 years giving her excellent local knowledge. Recently married Amy is still living in Stapleford with her husband and a very grumpy cat, she is very fond of both. Lezlie has worked in the property market since she left school and has gained a vast amount of knowledge over the years. She joined The Mortgage Company in 1990 working out of the Robert Ellis office in Beeston and over the years has worked out of all the Agency offices, Lezlie became a Partner in the company in 1994 is fully FPC and CeMap qualified is and has arranged Mortgages and Insurances for hundreds of clients many of which have returned to re-mortgage or have moved to a larger property after having children, she has seen their families grow and many have become personal friends. Lezlie lives in Chilwell and has two grown up sons and 4 wonderful grandchildren. In her spare time Lezlie enjoys going for long walks and socializing. 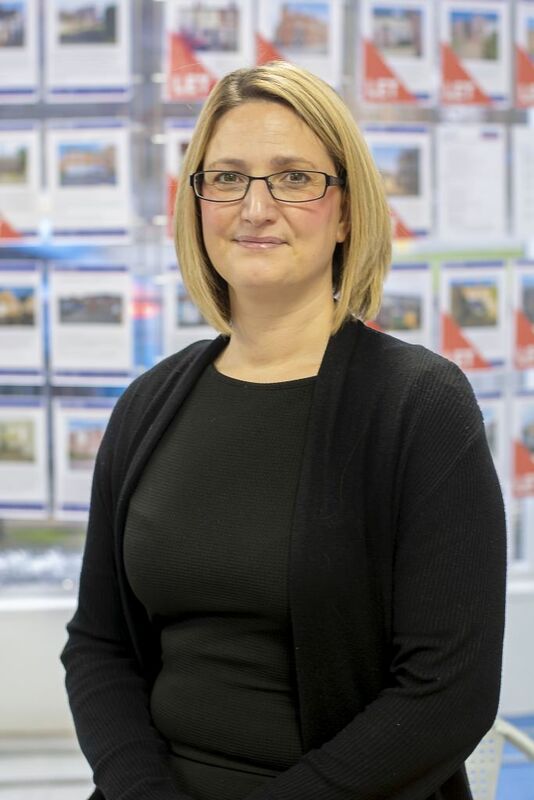 Tara began her career at the Robert Ellis office in Ilkeston in 1989 as office junior and gained a vast amount of experience in the property market, in 1996 she joined the Long Eaton office as sales negotiator making sure property sales went through smoothly and successfully. 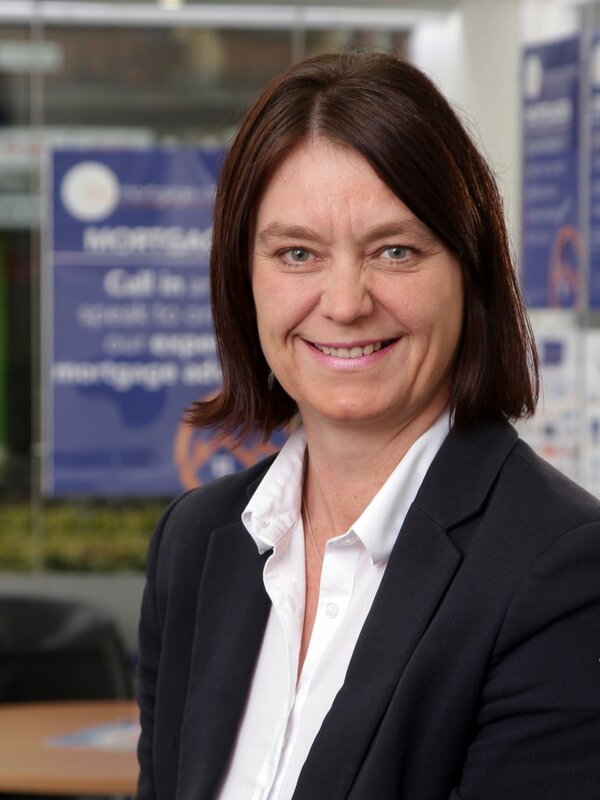 In 2005, having gained a wealth of knowledge in this area Tara was offered a position with The Mortgage Company as Administrator / Business Developer and has worked extremely hard to bring the business forward, she now leads a very successful team. Tara lives in the West of Nottingham with her partner and young daughter and in her spare time is a very talented Golfer. Jon Joined The Mortgage Company in 2017 as a general insurance advisor after spending two and a half years as a business introducer for a remortgage company. In this time he gained vast knowledge of the financial sector dealing with Mortgages, Loans, Home Insurance and Life Insurance. He prides himself on knowing the products he’s dealing with inside out so should any clients have questions regarding their policies, he’s always on hand to give the best advice. Ellie joined the Mortgage Company in 2017 as a home insurance advisor. She has spent the last 9 years working for a mortgage company as a general home insurance advisor and business developer, so has a wide knowledge of the insurance industry and its products, which in turn means she can provide her clients with excellent advice and customer service. Ellie lives in Derby with her partner and in her spare time enjoys socializing with friends and family and getting stuck into a good box set. and insurance products and always makes the customer the main priority, providing excellent service in a helpful, easy manner to ensure the customer has complete peace of mind. Cassie is local to area living in Toton with her partner. In their spare time they enjoy travelling to Devon to visit Cassie’s grown up son. 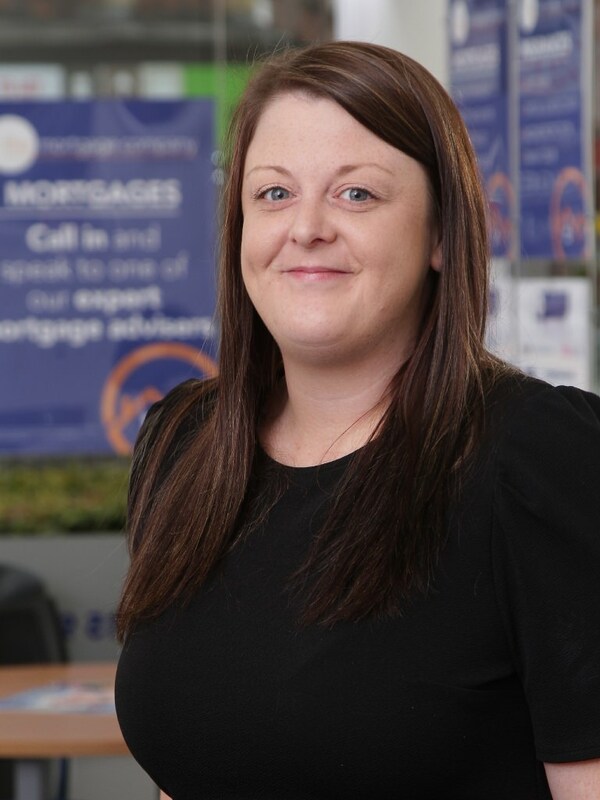 Jane joined the mortgage company in 2018 as an administrator, she has previously worked as an estate agent and is a trained barber/hairdresser, she is also a qualified teacher in this field. In her spare time Jane likes to go on long walks with her dog and also enjoys sailing with her partner on their boat.